Click here to see the complete information about Collectable Vintage Military Button 11549 plus a complete set of Pictures. 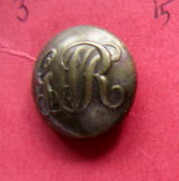 The Silver plated button are made Gaunt London The button pattern is a copy of the c1850 button with the "LY" initials instead of the original "LYC". Prince Albert's crown is the Guelphic crown. Prince Albert was a German, and this crown is the crown of the Dukes of the House of Hanover, of which he was a member, as were the British Royal family. Victoria and Albert both had the surname, Sax-Coburg-Gotha, and they were first cousins, as are the Queen and Prince Philip. Click here to see the complete information about Collectable Vintage Military Button Prince Alberts8298 plus a complete set of Pictures. Click here to see the complete information about Collectable Vintage Military Button Somerset L I 8274 plus a complete set of Pictures. Click here to see the complete information about Collectable Vintage Military Button 9574 plus a complete set of Pictures. Click here to see the complete information about Collectable Vintage Military Button Marine 9194 plus a complete set of Pictures. Click here to see the complete information about Collectable Vintage Military Button West Kent 7934 plus a complete set of Pictures. Click here to see the complete information about Collectable Vintage Military Button 9307 plus a complete set of Pictures. Click here to see the complete information about Collectable Vintage Military Button RN Mess Dress 8094 plus a complete set of Pictures. 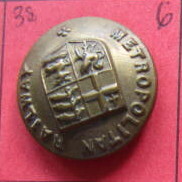 This brass button is 24mm wide and was made for the Italian navy -I Think!!!! Click here to see the complete information about Collectable Vintage Itaiian Military Button 9718 plus a complete set of Pictures. 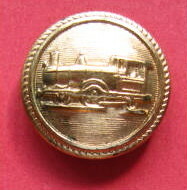 Click here to see the complete information about Collectable Vintage Military Button 9705 plus a complete set of Pictures. Click here to see the complete information about Collectable Vintage Military Button 9728 plus a complete set of Pictures. Click here to see the complete information about Collectable Vintage Military Button 9707 plus a complete set of Pictures. Click here to see the complete information about Collectable Vintage Military Button 9960 plus a complete set of Pictures. 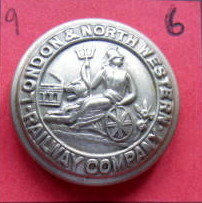 Click here to see the complete information about India Waterloo Button Item #9943 plus a complete set of Pictures. Click here to see the complete information about Collectable Vintage Military Button 9483 plus a complete set of Pictures. Click here to see the complete information about Collectable Vintage Military Button Royal Ordnance 9196 plus a complete set of Pictures. Click here to see the complete information about Collectable Vintage Military Button 9568 plus a complete set of Pictures. Click here to see the complete information about Collectable Vintage Military Button 9575 plus a complete set of Pictures. Click here to see the complete information about Collectable Vintage Military Button 9572 plus a complete set of Pictures. Click here to see the complete information about Collectable Vintage Military Button South African 9569 plus a complete set of Pictures. Click here to see the complete information about Collectable Vintage Military Button 8887 plus a complete set of Pictures. Click here to see the complete information about Collectable Vintage Military Button 10118 plus a complete set of Pictures. Click here to see the complete information about Collectable Vintage Military Button 10136 plus a complete set of Pictures. Click here to see the complete information about Collectable Vintage Military Button 10748 plus a complete set of Pictures. Click here to see the complete information about Collectable Vintage Military Button 10247 plus a complete set of Pictures. Click here to see the complete information about Collectable Vintage Military Button 9922 plus a complete set of Pictures. Click here to see the complete information about Collectable Vintage Military Button Royal Fusilier7698 plus a complete set of Pictures. 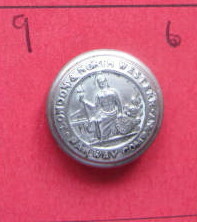 Click here to see the complete information about Collectable Vintage Military Button West Riding 7206 plus a complete set of Pictures. Click here to see the complete information about Collectable Vintage Military Button 7196 plus a complete set of Pictures. Click here to see the complete information about Collectable Vintage Military Button 7194 plus a complete set of Pictures. Click here to see the complete information about Collectable Vintage Military ButtonKings Liverpool7704 plus a complete set of Pictures. 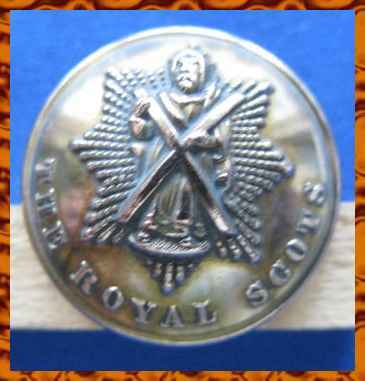 Click here to see the complete information about Collectable Vintage Military Button Royal Scots 7710 plus a complete set of Pictures. Click here to see the complete information about Collectable Vintage Military Button Northampton 7752 plus a complete set of Pictures. 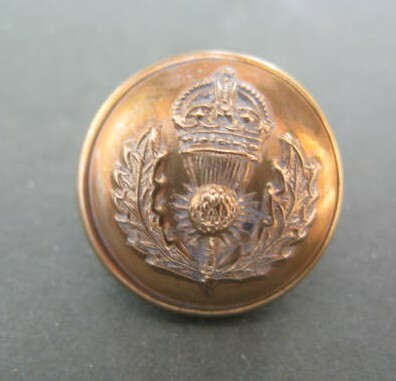 Click here to see the complete information about Collectable Vintage Military Button London regt 7747 plus a complete set of Pictures. Click here to see the complete information about Collectable Vintage Military Button Royal Welch 8316 plus a complete set of Pictures. Click here to see the complete information about Collectable Vintage Military Button 7193 plus a complete set of Pictures. Click here to see the complete information about Collectable Vintage Military Button 7188 plus a complete set of Pictures. Click here to see the complete information about Collectable Vintage Military Button Blues & Royals 8349 plus a complete set of Pictures. Click here to see the complete information about Collectable Vintage Military Button RAMC 8338 plus a complete set of Pictures. Click here to see the complete information about Collectable Vintage Military Button7166 plus a complete set of Pictures. Click here to see the complete information about Collectable Vintage Military Button South Lancs 8350 plus a complete set of Pictures. Click here to see the complete information about Collectable Vintage Military Button Hampshire 5549 plus a complete set of Pictures. Click here to see the complete information about Collectable Vintage Military Button 7186 plus a complete set of Pictures. 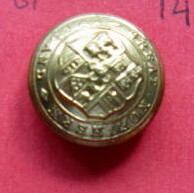 Click here to see the complete information about Collectable Military Button Prince Alberts Regt 7096 plus a complete set of Pictures. 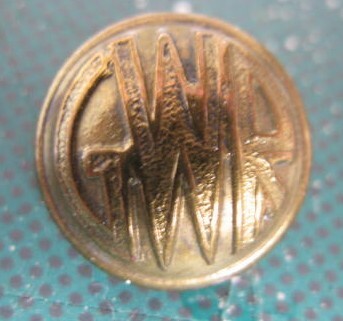 Click here to see the complete information about Collectable Vintage Military Button Welsh Gaurds 6982 plus a complete set of Pictures. Click here to see the complete information about Collectable Vintage Military Button Lancashire 7786 plus a complete set of Pictures. Click here to see the complete information about Collectable Vintage Military Button Loyal N Lancs 6910 plus a complete set of Pictures. 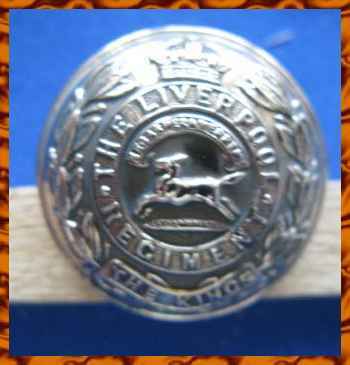 Click here to see the complete information about Collectable Vintage Military Button Kings Regiment 8367 plus a complete set of Pictures. Click here to see the complete information about Collectable Vintage Military Button Welch Regt 8366 plus a complete set of Pictures. Click here to see the complete information about Collectable Vintage Military Button RAC 8615 plus a complete set of Pictures. Click here to see the complete information about Collectable Vintage Military Button 7787 plus a complete set of Pictures. Click here to see the complete information about Collectable Vintage Military Button7926 plus a complete set of Pictures. Click here to see the complete information about Collectable Vintage Military Button North Lancs 8292 plus a complete set of Pictures. Click here to see the complete information about Collectable Vintage Military Button West Kent7795 plus a complete set of Pictures. Click here to see the complete information about Collectable Vintage Military Button Royal Canadian Cadet 8287 plus a complete set of Pictures. Click here to see the complete information about Collectable Vintage Military Button West Kent 8278 plus a complete set of Pictures. Click here to see the complete information about Collectable Vintage Military Button ADCC 8284 plus a complete set of Pictures. Click here to see the complete information about Collectable Vintage Military Button 9978 plus a complete set of Pictures. Click here to see the complete information about Collectable Vintage Military Button RCAF 9979 plus a complete set of Pictures. Click here to see the complete information about Collectable Vintage Military Button 9974 plus a complete set of Pictures. Click here to see the complete information about Collectable Vintage Military Button Canada 9965 plus a complete set of Pictures. Click here to see the complete information about Collectable Vintage Military Button 9966 plus a complete set of Pictures. Click here to see the complete information about Collectable Vintage Military Button 9975 plus a complete set of Pictures. 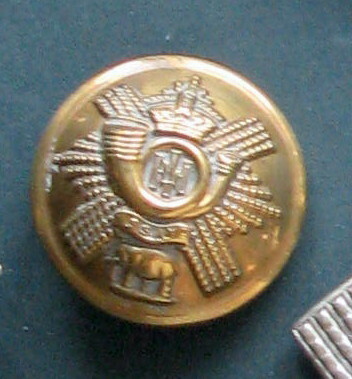 Click here to see the complete information about Collectable Vintage Military Button RAF 9982 plus a complete set of Pictures. Click here to see the complete information about Collectable Vintage Military Button 9964 plus a complete set of Pictures. Click here to see the complete information about Collectable Vintage Military Button Item #9985 plus a complete set of Pictures. Click here to see the complete information about Collectable Vintage Military Button 9981 plus a complete set of Pictures. Click here to see the complete information about Collectable Vintage Military Button 9984 plus a complete set of Pictures. Click here to see the complete information about Collectable Vintage Military Button 9980 plus a complete set of Pictures. Click here to see the complete information about Collectable Vintage Military Button 9920 plus a complete set of Pictures. Click here to see the complete information about Collectable Vintage Military Button 9709 plus a complete set of Pictures. Click here to see the complete information about Collectable Vintage Military Button 9727 plus a complete set of Pictures. Click here to see the complete information about Collectable Vintage Military Button 9604 plus a complete set of Pictures. Click here to see the complete information about Collectable Vintage Military Button 9918 plus a complete set of Pictures. Click here to see the complete information about Collectable Vintage Military Button 9921 plus a complete set of Pictures. Click here to see the complete information about Collectable Vintage Military Button 9959 plus a complete set of Pictures. Click here to see the complete information about Collectable Vintage Military Button Marine 9962 plus a complete set of Pictures. Click here to see the complete information about Collectable Vintage Military Button New Zealand 9957 plus a complete set of Pictures. Click here to see the complete information about Collectable Vintage Military Button Item #9956 plus a complete set of Pictures. Click here to see the complete information about Collectable Vintage Military Button RAOC 9963 plus a complete set of Pictures. Click here to see the complete information about Collectable Vintage Military Button 11498 plus a complete set of Pictures. Click here to see the complete information about Collectable Vintage Military Button 10265 plus a complete set of Pictures. Click here to see the complete information about Collectable Vintage Military Button 11560 plus a complete set of Pictures. 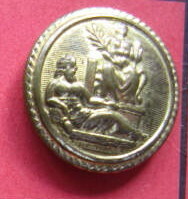 Click here to see the complete information about Collectable Military Button 9603 plus a complete set of Pictures. Click here to see the complete information about Collectable Vintage Military Button 11671 plus a complete set of Pictures. Click here to see the complete information about Collectable Vintage Military Button 10246 plus a complete set of Pictures. Click here to see the complete information about Collectable Vintage Military Button 10245 plus a complete set of Pictures. Click here to see the complete information about Collectable Vintage Military Button 10151 plus a complete set of Pictures. Click here to see the complete information about Collectable Vintage Military Button 10153 plus a complete set of Pictures. Click here to see the complete information about Collectable Vintage Military Button 10137 plus a complete set of Pictures. Click here to see the complete information about Collectable Vintage Military Button 10134 plus a complete set of Pictures. Click here to see the complete information about Collectable Vintage Military Button 10121 plus a complete set of Pictures. Click here to see the complete information about Collectable Vintage Military Button 10133 plus a complete set of Pictures. Click here to see the complete information about Collectable Vintage Military Button 10160 plus a complete set of Pictures. Click here to see the complete information about Collectable Vintage Military Button 10200 plus a complete set of Pictures. Click here to see the complete information about Collectable Vintage Military Button 10244 plus a complete set of Pictures. Click here to see the complete information about Collectable Vintage Military Button 10199 plus a complete set of Pictures. Click here to see the complete information about Collectable Vintage Military Button10115 plus a complete set of Pictures. Click here to see the complete information about Collectable Vintage Military Button 10225 plus a complete set of Pictures. 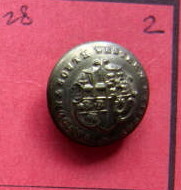 Click here to see the complete information about Collectable Military Button Loyal N Lancs 7259 plus a complete set of Pictures. Click here to see the complete information about Collectable Vintage Military Button 7263 plus a complete set of Pictures. Click here to see the complete information about Collectable Vintage Military Button 7266 plus a complete set of Pictures. 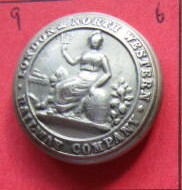 Click here to see the complete information about Collectable Military Button Royal Northumberland 7248 plus a complete set of Pictures. Click here to see the complete information about Item #7243 plus a complete set of Pictures. Click here to see the complete information about Collectable Vintage Military Button 7184 plus a complete set of Pictures. Click here to see the complete information about Collectable Vintage Military Button 7190 plus a complete set of Pictures. 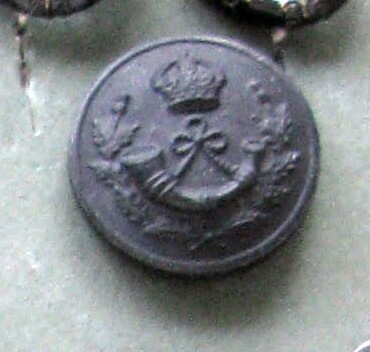 Click here to see the complete information about Collectable Vintage Military Button Yorkshire Hussars 8310 plus a complete set of Pictures. 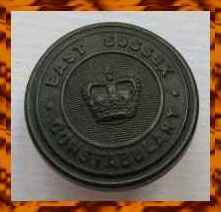 Click here to see the complete information about Collectable Vintage Military Button Royal 22 Regt Canada 8307 plus a complete set of Pictures. Click here to see the complete information about Collectable Military Button Sherwood Foresters 7756 plus a complete set of Pictures. Click here to see the complete information about Collectable Vintage Military Button The Buffs 7758 plus a complete set of Pictures. Click here to see the complete information about Collectable Vintage Military Button Bedford 7755 plus a complete set of Pictures. Click here to see the complete information about Collectable Vintage Military Button Bedfordshire 7748 plus a complete set of Pictures. Click here to see the complete information about Collectable Vintage Military Button Dorset 8319 plus a complete set of Pictures. Click here to see the complete information about Collectable Vintage Button Rifle Brigade 7158 plus a complete set of Pictures. Click here to see the complete information about Collectable Vintage Military Button Devonshire reg7156 plus a complete set of Pictures. Click here to see the complete information about Collectable Vintage Military Button Royal Artillery 8341 plus a complete set of Pictures. Click here to see the complete information about Collectable Vintage Military Button 8326 plus a complete set of Pictures. 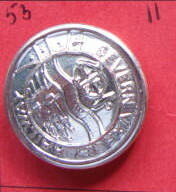 Click here to see the complete information about Collectable Military Button Royal Navy 7167 plus a complete set of Pictures. Click here to see the complete information about Collectable Vintage Military Button 9602 plus a complete set of Pictures. Click here to see the complete information about Collectable Vintage Military Button T11471 plus a complete set of Pictures. Click here to see the complete information about Collectable Vintage Military Button Princess Charlo6917 plus a complete set of Pictures. Click here to see the complete information about Collectable Vintage Button East Yorks 7090 plus a complete set of Pictures. Click here to see the complete information about Collectable Vintage Military Button 7153 plus a complete set of Pictures. Click here to see the complete information about Collectable Vintage Military Button 7155 plus a complete set of Pictures. Click here to see the complete information about Collectable Vintage Military Button7152 plus a complete set of Pictures. 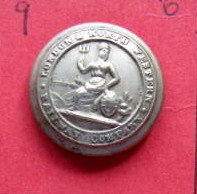 Click here to see the complete information about Collectable Military Button Royal Sussex Regt 7146 plus a complete set of Pictures. 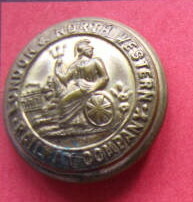 Click here to see the complete information about Collectable Military Button Duke Wellington7091 plus a complete set of Pictures. Click here to see the complete information about Collectable Vintage Military Button Fusiliers 7760 plus a complete set of Pictures. 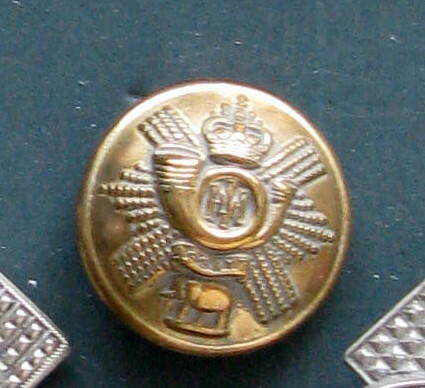 Click here to see the complete information about Collectable Military Button Cheshire Regiment 7130 plus a complete set of Pictures. Click here to see the complete information about Collectable Vintage Military Button 9082 plus a complete set of Pictures. Click here to see the complete information about Collectable Vintage Military Button Engineers Vic 9114 plus a complete set of Pictures. Click here to see the complete information about Collectable Vintage Military Button RAC 25mm 9116 plus a complete set of Pictures. Click here to see the complete information about Collectable Vintage Military Button 9069 plus a complete set of Pictures. Click here to see the complete information about Collectable Vintage Military Button RHA 8933 plus a complete set of Pictures. Click here to see the complete information about Collectable Vintage Military Button 8828 plus a complete set of Pictures. Click here to see the complete information about Collectable Vintage Military Button 9193 plus a complete set of Pictures. Click here to see the complete information about Collectable Vintage Military Button 9601 plus a complete set of Pictures. Click here to see the complete information about Collectable Vintage Military Button 9371 plus a complete set of Pictures. Click here to see the complete information about Collectable Vintage Military Button Shropshire 7788 plus a complete set of Pictures. Click here to see the complete information about Collectable Vintage Military Button 9281 plus a complete set of Pictures. Click here to see the complete information about Collectable Vintage Military Button 9248 plus a complete set of Pictures. Click here to see the complete information about Collectable Vintage Military Button 9243 plus a complete set of Pictures. Click here to see the complete information about Collectable Vintage Military Button Sussex 9245 plus a complete set of Pictures. Click here to see the complete information about Collectable Vintage Military Button RTR 8661 plus a complete set of Pictures. Click here to see the complete information about Collectable Vintage Military Button General Service 9198 plus a complete set of Pictures. Click here to see the complete information about Collectable Vintage Military Button Royal Tank Regt 8438 plus a complete set of Pictures. Click here to see the complete information about Collectable Vintage Military Australian Button 8516 plus a complete set of Pictures. Click here to see the complete information about Collectable Vintage Military Button Border Regt 8275 plus a complete set of Pictures. Click here to see the complete information about Collectable Vintage Military Button Kent Police 8258 plus a complete set of Pictures. Click here to see the complete information about Collectable Vintage Military Button West Kent KC 7796 plus a complete set of Pictures. Click here to see the complete information about Collectable Vintage Military Button LI Regt 8652 plus a complete set of Pictures. Click here to see the complete information about Collectable Vintage Military Button Green Jackets 8517 plus a complete set of Pictures. Click here to see the complete information about Collectable Vintage Military Button East Yorks 8364 plus a complete set of Pictures. Click here to see the complete information about Collectable Vintage Military Button 9361 plus a complete set of Pictures. 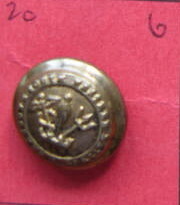 Click here to see the complete information about Collectable Vintage Military Button 9321 plus a complete set of Pictures. Click here to see the complete information about Collectable Vintage Military Button 9378 plus a complete set of Pictures. Click here to see the complete information about Collectable Vintage Military Button 9399 plus a complete set of Pictures. Click here to see the complete information about Collectable Vintage Military Button 9318 plus a complete set of Pictures. Click here to see the complete information about Collectable Vintage Military Button 9567 plus a complete set of Pictures. Click here to see the complete information about Collectable Vintage Military Button 9298 plus a complete set of Pictures. Click here to see the complete information about Collectable Vintage Military Button9316 plus a complete set of Pictures. 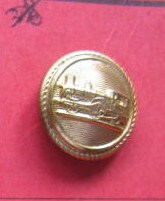 Click here to see the complete information about Collectable Military Button 9317 plus a complete set of Pictures. Click here to see the complete information about Collectable Vintage Military Button 9320 plus a complete set of Pictures. Click here to see the complete information about Collectable Vintage Military Button 9767 plus a complete set of Pictures. Click here to see the complete information about Collectable Vintage Military Button 9925 plus a complete set of Pictures. Click here to see the complete information about Collectable Vintage Military Button 9926 plus a complete set of Pictures. Click here to see the complete information about Collectable Vintage Military Button 9931 plus a complete set of Pictures. Click here to see the complete information about Collectable Vintage Military Button 9929 plus a complete set of Pictures. Click here to see the complete information about Collectable Vintage Military Button 9726 plus a complete set of Pictures. Click here to see the complete information about Collectable Vintage Military Button 9571 plus a complete set of Pictures. 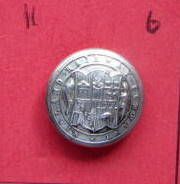 Click here to see the complete information about Collectable Military Button 9609 plus a complete set of Pictures. Click here to see the complete information about Collectable Vintage Military Button 9670 plus a complete set of Pictures. Click here to see the complete information about Collectable Vintage Military Button 9570 plus a complete set of Pictures. Click here to see the complete information about Collectable Vintage Military Button 9158 plus a complete set of Pictures. Click here to see the complete information about Collectable Vintage Military Button Army Pay 9117 plus a complete set of Pictures. Click here to see the complete information about Collectable Vintage Military Button 9157 plus a complete set of Pictures. Click here to see the complete information about Collectable Vintage Military Button 9159 plus a complete set of Pictures. Click here to see the complete information about Collectable Vintage Military Button PTI 9160 plus a complete set of Pictures. Click here to see the complete information about Collectable Vintage Military Button RAC 19 mm 9115 plus a complete set of Pictures. Click here to see the complete information about Collectable Vintage Military Button Engineers 9113 plus a complete set of Pictures. Click here to see the complete information about Collectable Vintage Military Button 9930 plus a complete set of Pictures. Click here to see the complete information about Collectable Vintage Military Button AAC 9033 plus a complete set of Pictures. Click here to see the complete information about Collectable Vintage Military Button AAC 9034 plus a complete set of Pictures. Click here to see the complete information about Collectable Vintage General Service Military Button 9199 plus a complete set of Pictures. Click here to see the complete information about Collectable Vintage Military Button 9210 plus a complete set of Pictures. Click here to see the complete information about Collectable Vintage Military Button 9253 plus a complete set of Pictures. Click here to see the complete information about Collectable Vintage Military Button 9284 plus a complete set of Pictures. Click here to see the complete information about Collectable Vintage Military Button 9295 plus a complete set of Pictures. Click here to see the complete information about Collectable Vintage Military Button 9294 plus a complete set of Pictures. Click here to see the complete information about Collectable Vintage Military Button 9249 plus a complete set of Pictures. Click here to see the complete information about Collectable Vintage Military Button 9246 plus a complete set of Pictures. Click here to see the complete information about Collectable Vintage Military Button 9240 plus a complete set of Pictures. Click here to see the complete information about Collectable Vintage Military Button 9241 plus a complete set of Pictures. Click here to see the complete information about Collectable Vintage Military Button 9242 plus a complete set of Pictures. Click here to see the complete information about Collectable Vintage Military Button 9244 plus a complete set of Pictures. Click here to see the complete information about Collectable Vintage Military Button 9296 plus a complete set of Pictures. Click here to see the complete information about Collectable Vintage Military Button AAC 9031 plus a complete set of Pictures. Click here to see the complete information about Collectable Vintage Military Button10754 plus a complete set of Pictures. Click here to see the complete information about Collectable Vintage Military Button10755 plus a complete set of Pictures. Click here to see the complete information about Collectable Vintage Military Button 10132 plus a complete set of Pictures. Click here to see the complete information about Collectable Vintage Military Button 10149 plus a complete set of Pictures. Click here to see the complete information about Collectable Vintage Military Button 10150 plus a complete set of Pictures. Click here to see the complete information about Collectable Vintage Military Button 10154 plus a complete set of Pictures. Click here to see the complete information about Collectable Vintage Military Button 10117 plus a complete set of Pictures. Click here to see the complete information about Collectable Vintage Military Button 9968 plus a complete set of Pictures. Click here to see the complete information about Collectable Vintage Military Button 9970 plus a complete set of Pictures. Click here to see the complete information about Collectable Vintage Military Button10157 plus a complete set of Pictures. Click here to see the complete information about Collectable Vintage Military Button 10165 plus a complete set of Pictures. Click here to see the complete information about Collectable Vintage Military Button 10268 plus a complete set of Pictures. Click here to see the complete information about Collectable Vintage Military Button 10275 plus a complete set of Pictures. Click here to see the complete information about Collectable Vintage Military Button 10238 plus a complete set of Pictures. Click here to see the complete information about Collectable Vintage Military Button 10168 plus a complete set of Pictures. Click here to see the complete information about Collectable Vintage Military Button 10172 plus a complete set of Pictures. Click here to see the complete information about Collectable Vintage Military Button 10198 plus a complete set of Pictures. Click here to see the complete information about Collectable Vintage Military Button 9932 plus a complete set of Pictures. Click here to see the complete information about Collectable Vintage Military Button Small Arms 8775 plus a complete set of Pictures. 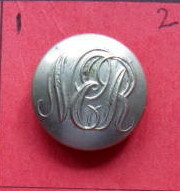 Click here to see the complete information about Collectable Vintage Military Button RNVR 8439 plus a complete set of Pictures. 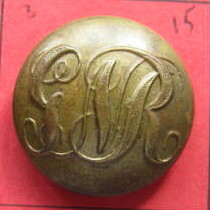 Click here to see the complete information about Collectable Military Button Royal Welch 8452 plus a complete set of Pictures. 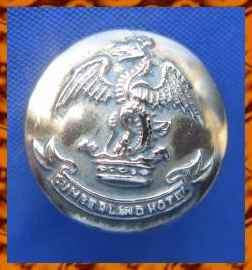 Click here to see the complete information about Collectable Military Button Royal Marine 8455 plus a complete set of Pictures. Click here to see the complete information about Collectable Vintage Military Button 8391 plus a complete set of Pictures. 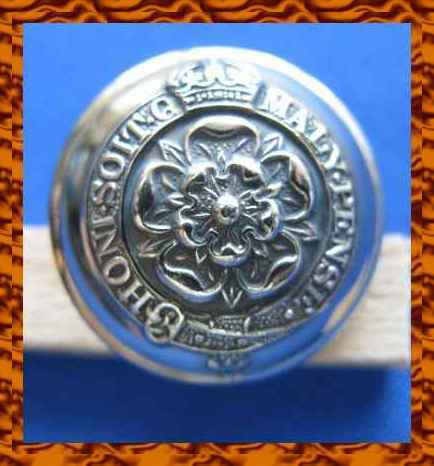 Click here to see the complete information about Collectable Vintage Military Button Shropshire 7761 plus a complete set of Pictures. 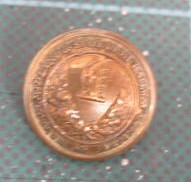 Click here to see the complete information about Collectable Vintage Military Button7931 plus a complete set of Pictures.